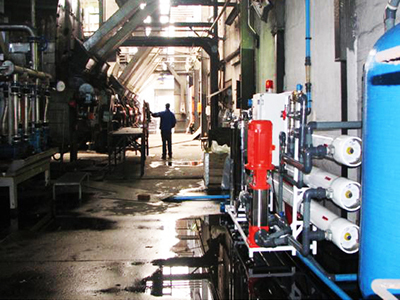 Fish meal processing plant using high pressure boilers to produce a fish meal for the export market. Boiler feed water needs to be of a very high quality in order to keep high pressure boilers free of scale and corrosion products. Failure to do so reduces the heating efficiency which in turn increases operating costs. High feed salt concentrations result in heavy boiler blowdown and increased chemical costs. Client was experiencing high fuel and high chemical costs with a fluctuating feed water ranging from 200 – 1200 ppm dissolved salts. Plant has been in operation for 36 months with an average of 98 % salt rejection and major chemical and coal savings on their boiler system.